Joe was excellent and explained all. He did a great job at 235 Sellhorn Blvd. New Bern. Our service tech, Joey Simmons, is a consummate pro. We have been with Terminix at two different properties for almost 20 years, and are extremely happy with the service we receive! Did a great job of installing a whole house vapor barrier and some vents. The job was well done and on time. Our Technician, Jerry, is kind and compassionate and willing to take care of any problem. Joey came out today and worked on the outside of my house. He listened to my concerns about mosquitoes and carpenter bees and quickly went to work on treating the problem. He seemed to be very thorough, and personable. After treating the house he discussed what he did to treat the problems and how to proceed next time he comes out. So far, no complaints, the techs are very knowledgeable of the problems I've had with insects.Thank You. Jerry Moreno has been servicing our house for pest control for many years.He provides excellent service,very thorough and is a great helpful guy.In the past year we also added termite protection and increased attic insulation under the recommendation of Tim Mercer.Like Jerry,Tim and his service support personnel provide excellent service and Tim is a great helpful guy as well.A company is only as good as whom they employ and both Jerry and Tim are of great character and trustworthy. Jerry did an awesome job would like to have him on a regular tech. I have had service for 7months now. My service guy is Hunter,he is really great. Goes above what's expected to do his job!! The technician was spot on time and an absolute pleasure to talk with. Just a very delightful experience. Joe communicates well with us and had been great to work with. always on time, helpful, courteous and of course our house is safe! Tim has been very helpful with the issues we have encountered at our home. Another company was not responsive and when finally showed up performed substandard work. We look forward to working with him at our new home. Thank you for coming so promptly. Excellent service. Technician Shawn (sp.?) was very efficient and professional. We have no complaints. Your workers show up on dates and time---(we are often the ones who forget)----polite . Service has always been scheduled in advanced- technicians normally arrive ahead of schedule and very polite. I am very satisfied with my service and please give Jerry who is the representative a pat on the back , he is is more like a family member than a business rep. Jerry knows from experience what do to in our home with all the feral cats my wife rescues. Where to spray where not to spray. Lets just say between us if Jerry ever goes to another company we will go with him. Look back at what we have invested in this house with Terminex. So far I have no complain, happy at what have already taken place, the gentlemen that did the work was very nice and respectful, they really made me feel at peace. Thanks, God bless. Usually on time, pleasant technicians provide good service. These critters they're trying to prevent from entering my home are naggingly persistent, however, so I've had to call back Terminix for additional treatments, and I received the same friendly, businesslike service as on the first visit. Thank you. These guys have done great things for us. The crawl space dehumidifier will, in the long term, save me a lot of $$$$ and headaches. Appreciate the job you do! Terminix takes care of all of our pest control needs. The staff is so courteous and knowledgeable. They always take great care of us! Had service done about 2 weeks ago. So far no insects. Good and very courteous service! The house I purchased several years ago, had been vacant for a considerable period of time. I had numerous pest problems and after contracting with Terminex I became pest free. With just the first service, I had an approximate 80% bug free environment. Starting with the second application I was then 100% pest free. Am so happy for my daughter referring Terminex to me as she also has them service her house. I am pleased with Terminix service. They have been controlling pests at our business for years but this is the first time I needed them at my home. Both people I dealt with were knowledgeable, prompt and very courteous, and I thought the cost was reasonable. This is a great company to deal with. They are helpful and very cooperative. You can count on them. Great service, mildly confusing billing. Best service and service tech. I,ve seen in a long time. 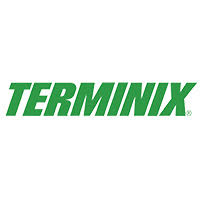 We have the best terminix professional. Jerry is the best and does a great job. Thank you. Everything is done professionally and on time. service personal very nice;sevice is great. Our service provider is always on time or earlier, thorough, friendly and helpful. Just started service, too early for much feedback.